PS Plus subscribers can play a new batch of games free of charge next month, the top game for January 2019 being Ubisoft’s Steep. Aside from this, PS4 owners will also be able to enjoy another two games for free in January, as Sony recently announced on its blog. As mentioned earlier, one of the month’s games is Steep. 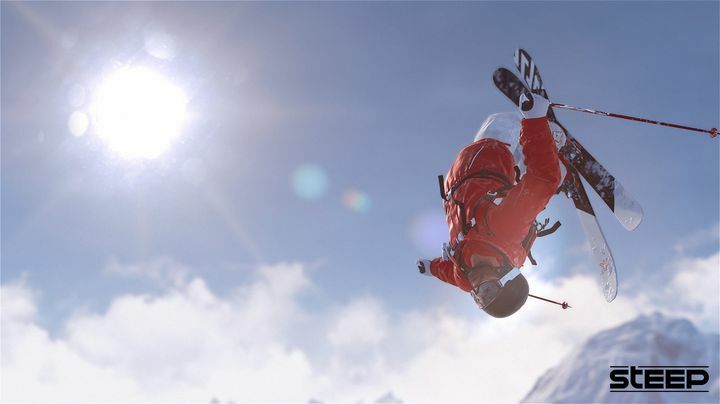 This is an extreme sports title released by Ubisoft in 2016, and lets you use snowboards, wingsuits paragliders and skis in an open-world, snowy, American setting. This also has multiplayer support, and lets you share your stunts on social media for everyone to see. If sports games are not your thing though, Sony is also offering Portal Knights to PS subscribers this month. This is an action role-playing game which lets you play as three different classes: ranger, mage or warrior. What’s interesting here is that the game’s worlds are randomly generated (meaning no two games will be the same), and that you can play cooperatively with others both online and split screen. As is the case with games of this ilk, there are colourful characters, quests to tackle and tactical combat to enjoy too. Aside from Portal Knights, there’s another action RPG on offer this month for those on PS Plus. This game is Fallen Legion: Flames of Rebellion, a PS Vita game also available on PS4 via cross-buy. This role-playing game from Japan boasts hand drawn graphics and story choices, and might be right up your alley if you enjoy playing oriental RPGs on your console. PS Vita owners also get arcade shooter Super Mutant Alien Assault this month, while PS3 gamers are also catered for with Zone of the Enders HD Collection and Amplitude. The former will be of particular interest to fans of Japanese designer Hideo Kojima, as the Zone of the Enders series includes some of his best games aside from Metal Gear Solid. As is typically the case, this looks like a good line-up of games for the coming month. It’s also worth noting that there’s still time to get hold of PS Plus’ December 2018’s offerings, while next month’s games will be available from January 1 until February 5. Also, January’s PS3 games are the second to last batch Sony will be offering for free to subscribers, as PS Plus will only offer PS4 gamers starting in March next year.